Over 200 patients have been left waiting in ambulances in Croydon during the winter so far, according to new figures published today (4 January). Official NHS figures show that 206 patients were left in ambulances for more than 30 minutes between 20th November and 31st December, an average of 34 per week. 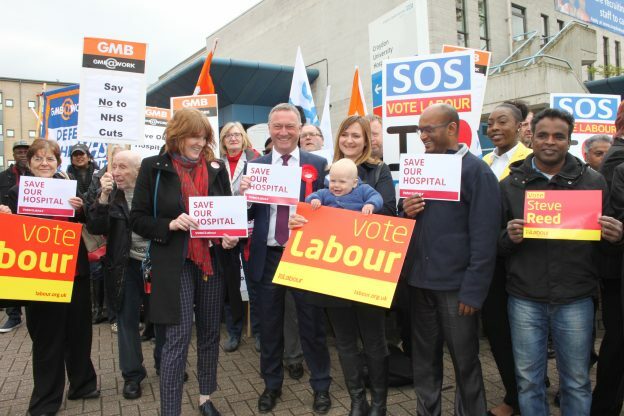 Labour MP Steve Reed condemned the Conservatives for slashing Croydon’s NHS funding. Staff shortages and budget cuts, coupled with more people needing to use NHS services, have brought the borough’s NHS close to breaking point. “These figures are absolutely shocking. They are a damning picture of our crumbling NHS under Theresa May’s Conservatives. “Over 200 desperately ill people have been left in the back of ambulances during the cold winter months. NHS services in Croydon can no longer cope after years of underfunding and neglect by the Conservative Government.